A specialist loan fund created to support smaller businesses has provided more than £6m in new loans since it was launched four years ago. To date the Northern Ireland Small Business Loan Fund (the Fund) is estimated to have helped create over 150 new jobs and additional sales of almost £30m. The Fund is managed by Ulster Community Finance (UCF) on behalf of Invest Northern Ireland and delivered in partnership with Enterprise Northern Ireland. UCF is a subsidiary of the social finance organisation Ulster Community Investment Trust (UCIT). The Fund was set up to provide access to finance for small businesses, sole traders and partnerships which are keen to develop their business, but find it difficult to access funding through traditional sources. “Northern Ireland has the highest concentration of SMEs in the UK and accounts for 99% of our private sector. Ensuring that these firms have adequate access to funding is, therefore, essential for the well-being of the economy. 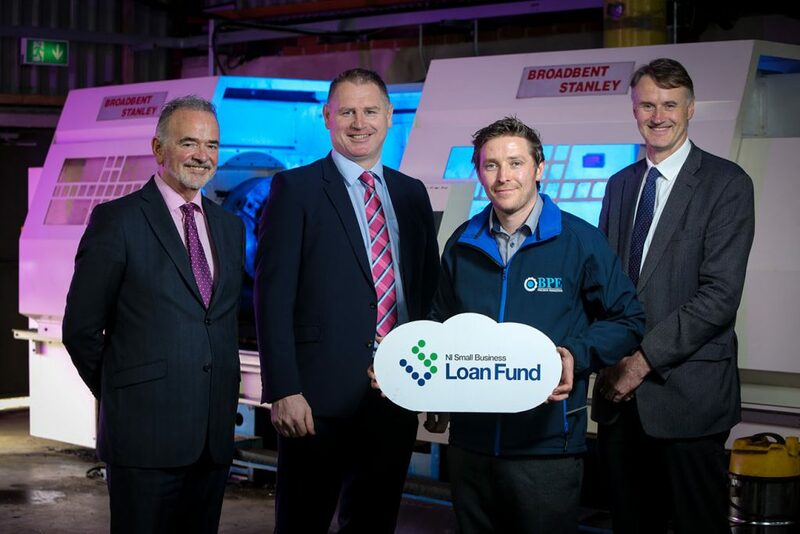 “Now in its fifth year, the Small Business Loan Fund is continuing to make a significant difference to the business community in Northern Ireland by boosting business confidence and ensuring SMEs have access to the type of finance needed to support their growth and development. One of the firms to benefit from the Fund is Brocagh Precision Engineering Ltd (BPE), located near Coalisland. The firm designs and manufactures bespoke components for clients in sectors ranging from heavy engineering to aerospace. The Fund provides loans of up to £50,000 to start-ups, micro enterprises and small businesses. As a revolving fund it’s expected that a figure in excess of £7m will be made available over the course of the fund’s lifetime. Since it was established in 2001 UCIT has provided loan support to a broad range of third sector organisations including sports clubs, community associations, charities, green energy, enterprise agencies, faith-based organisations, social housing schemes and the arts. As a registered charity, all profits generated by UCIT are retained and recycled for the benefit of its clients. Since the drawdown of UCIT’s first loan in 2001, it has assisted over 400 third sector organisations with loan commitments totalling over £60 million. In Northern Ireland, £51m of loans were approved between 2001-2016. In the Republic of Ireland, €22m of loans were approved between 2007-2016. Loan commitments have been directed to projects which make an important contribution to the economic, physical and social wellbeing of local communities. In many (perhaps most) instances these projects would not have been possible without the flexible but professional approach adopted by the Trust in its lending.